There’s less snow than usual to melt in the mountains this spring. That’s the message from hydrologist John Pomeroy, a Canmore-based water expert. “It’s lower than the normal over most of the mountains,” Pomeroy said, in a Monday interview on the Calgary Eyeopener. 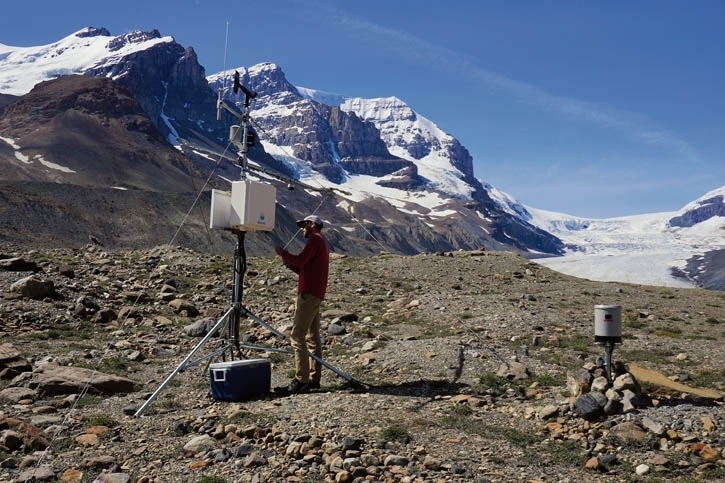 Pomeroy, the Canada Research Chair in Water Resources and Climate Change, and the director of the Coldwater Laboratory at the University of Saskatchewan, said the explanation for the diminished flows isn’t complicated. Environment and Climate Change Canada this week released a report showing Canada is warming up twice as fast as the rest of the world. CTV Morning Live host Jeremy Dodge spoke with John Pomeroy, director of the Global Waters Initiative at the University of Saskatchewan, to get his thoughts on how the warming trend could change life in Saskatchewan. A $1-million federal budget commitment to develop a strategy for land and water management in the Prairies is being welcomed by members of the agriculture and research sectors. Last week’s federal budget included funding for Western Economic Diversification Canada to come up with a plan to address climate change threats. It’s become a natural part of spring in Calgary. As the temperature soars and the snow melts, many Calgarians will to cast their eyes to the Bow and Elbow rivers — watching for any sign of rising water levels. Read more as Centre for Hydrology Director, John Pomeroy, describes the indications and precursors of flooding events. The Global Institute for Water Security, Centre for Hydrology and Global Water Future’s is pleased to host a special seminar by Dmitri Kavetski, Professor and Deputy Head of the School of Civil, Environmental, Computer and Mining Engineering at the University of Adelaide. The presentation takes place on Thursday, March 14, 2019, at 12:00 pm CST in the NHRC Seminar Room 1261. Dmitri’s presentation is entitled Advances and challenges in probabilistic hydrological modelling at the catchment scale. Attached is a poster, please feel free to pass on this to others who think may be interested. For those of you who will not be in Saskatoon at this time, the lecture will be live streamed and viewable here – https://www.usask.ca/water/lecture-series/special-seminars.php. Science of The Total Environment, 662, 110-120. The USask-led Global Water Futures has been designated as one of only three Regional Hydroclimate Projects (RHP) in the world by the GEWEX (Global Energy and Water Exchanges) project of the United Nations World Climate Research Programme.